Team RVA Weightlifting is composed of members of The Weight Room and RVA Performance Training, both training facilities in Richmond, VA.
Each facility offers a dedicated Olympic Weightlifting training program led by experienced coaches. Please research each program to decide which is the best fit for you. Team RVA Weightlifting is a joint effort between The Weight Room and RVA Performance Training. Owners Chris Lawyer and Jake Rowell felt that through shared vision and resources, they could best serve the needs of their athletes. 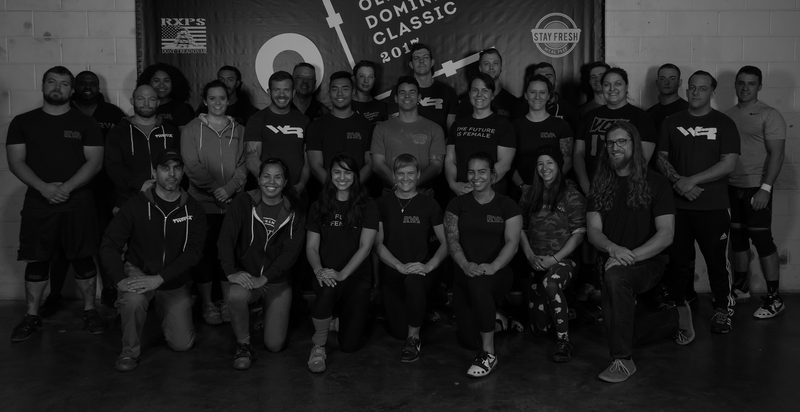 While members train separately at their respective gyms, the team hosts frequent combined group training sessions, competes together with an active presence at local meets, and hosts the Old Dominion Classic each winter as a group endeavor. RVA Weightlifting does not actively recruit athletes or seek out online coaching clients. Instead, the focus is on developing athletes regionally of all skill levels through group and private coaching so that they can reach their fullest potential.